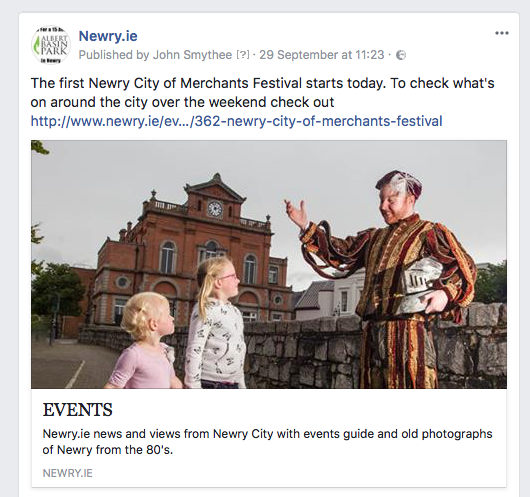 The number of people on the Newry.ie Facebook page saying that they didn't know the City of Merchants Festival and maybe more specifically the fireworks display was on, despite articles on the self same Facebook page and on Newry.ie website itself makes me think there may be something else at play. Newry for so long was deprived of events and happening things that people no longer expect events to be on, so don't be on the lookout for them when lo and behold they actually are! In some ways many have actually given up on Newry and will quite happily check for events on elsewhere at different times throughout the year and go to them, maybe 70 miles away, but never think of checking for things and attending sometimes the same or better events in their own back yard. How else can I explain that the Iúr Cinn Fleadh Festival which was in it's fourth year in September - from 7-10 September to be precise still hasn't hit some local people's radar, and this despite attracting thousands of people to many different fleadh events throughout Newry. People from all over Ireland, from America, Norway, England and Scotland and many more places have all been there yet it's still not seen as a must go to event locally. I could say the same about many other local events. Examples of the lack of knowledge of the fleadh in particular that I know of personally include two people working at reception at a local hotel who had never heard of it, despite a massive 20 ft banner less than 200ft away from where they sat advertising it. There were also Staff in a local bar who yes, you've guessed it "Didn't know it was on" despite the owner being asked to take part and declining. How are we supposed to promote our city when the very people who earn a living from the entertainment and hospitality business don't promote something that has the potential to greatly increase their takings on a particular weekend if they only just made a small effort. Have they given up too? You only have to look at the present weekend nightlife in Newry to think that maybe they have? In case anyone asks, Iúr Cinn Fleadh was promoted extensively from around Easter, had many articles in local papers, front pages, Facebooked to death, promoted via websites including Newry.ie, was mentioned on local and regional radio, 6k event guides were circulated, posters put up around the town and more. Of course there could have been more done, nothing can't be improved on but after quite a bit of effort by volunteers in their own time (and you have to remember that many local events are organised by volunteers) for people to claim that they never heard of it can be quite demoralising, as you can imagine. Newry has a growing number of happening events over the course of the year. 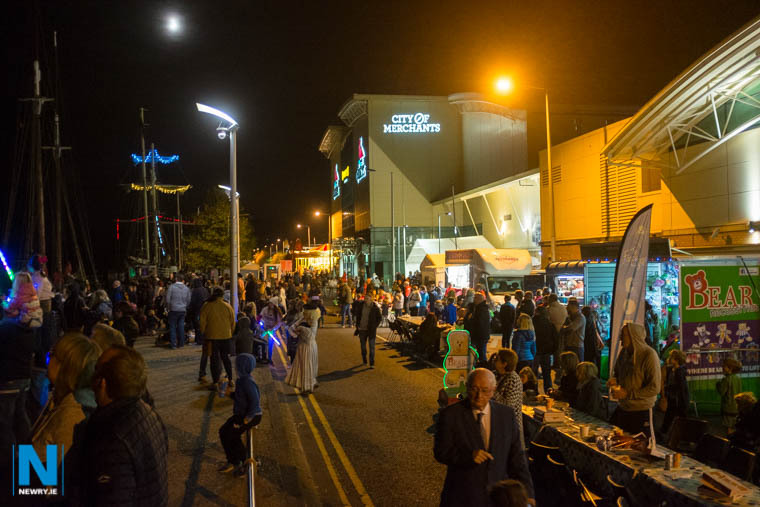 This years City of Merchants festival hosted by Newry, Mourne and Down Council which has already shown great potential is just the latest one to be added to existing ones like Newry Feis, Newry Drama Festival, Pride In Newry, Iúr Cinn Fleadh, Newry Blues Festival, Oktoberfest, Newry Festival of Water, Flagstaff Fiesta, Earwig and many other local festivities. They all deserve your support and are normally on at the same time each year so not too hard to work out when they are coming up. This leads me to ask, what needs to be done for an event to hit YOUR radar, do you actually go out and try and find out if there is anything on in your home town, and more importantly if you do find out, do you support them?